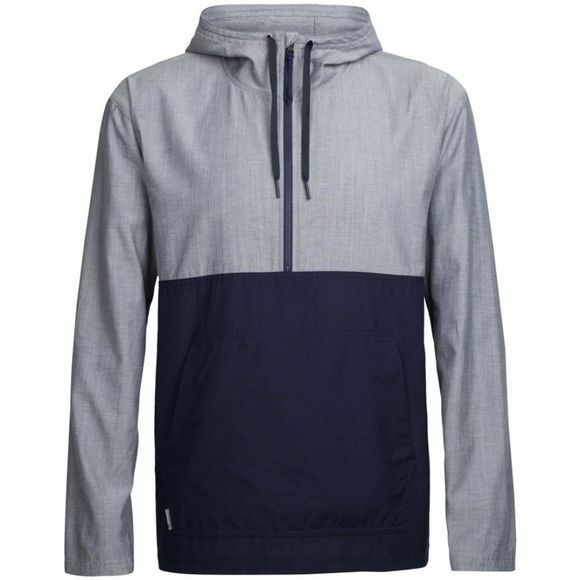 This mens Escape Hooded Pullover offers the best of both comfort and style. Its the perfect addition to your weekend wardrobe. It combines the classic hoody silhouette with natural fabrics and a unique blocked-pattern style, as well as combining merino wool with organic cotton for a natural, super-soft feel.